Henry Greenwood has been DJing professionally since the age of 18 (twelve years) and prides himself on programming the right music for the right occasion. Having cut his teeth on the Oxford student/party circuit, he now resides in several of the citys premium venues, as well as numerous one-off events and functions. Though he specialises in dancefloor classics from the last four decades, Henry Greenwood is well-equipped to cater to any specific tastes that a function may require, whether Classic/Modern Rock, Soul/Motown, House & Garage, Breaks & Beats, Classic/Modern Pop, or RnB & Hip Hop. Henry is also very happy to discuss in advance any specific requirements client may have. 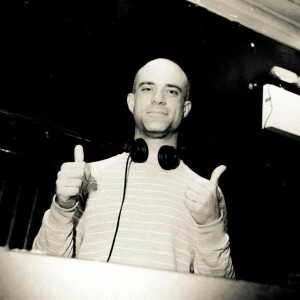 Henry has a wealth of experience playing at private functions such as birthdays and weddings, as well as countless corporate functions and unique event like fashion shows and launch parties. He has played almost every conceivable style of music to every kind of crowd, and it is this experience and his passion for the job that makes him a sound choice. Henry takes a great deal of personal pride in doing the best job possible, and you can be sure he will be absolutely committed to creating the best atmosphere for your function.